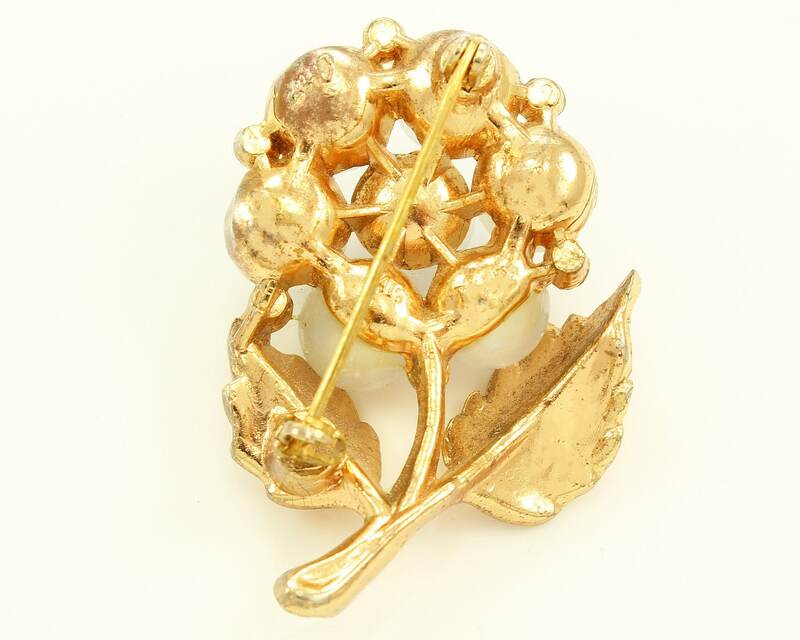 1940's Coro Gold Tone Flower Brooch with Moonstone Plastic. 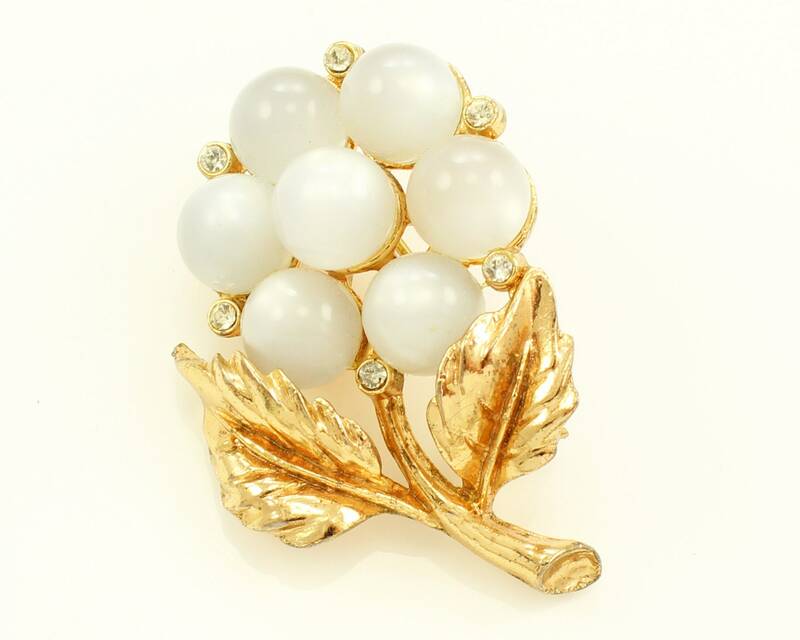 This vintage Coro pin has a gold toned flowers and stem, and a flower made of pale blue moonstone plastic spheres with bezel set rhinestone accents. The brooch measures approximately 1 7/8 inches long and 1 1/4 inches wide. Finished will roll-over pin stem. In Very Good Condition, with very minor surface scratches and some cracks in the finish.